The term ‘Rangelands’ refers to the various land types that are found in arid and semi-arid regions of the world. The term was first used in the United Kingdom in the 1600s; in the 1800s it became commonly recognised in the United States and now the term is used worldwide. Nearly 90% of Western Australia is considered to be rangeland and historically it was dominated by the open grazing of native vegetation. Around 40,000 – 60,000 years ago the Aboriginal people arrived on the northwest coast of Western Australia and over time they slowly moved across the Western Australian land mass. The Rangelands environment holds great cultural significance for the Aboriginal people and within the Rangelands there are 4 cultural groups these are Yamatji occupying the Gascoyne, Pilbara and Murchison regions, Wankai (Wongai) occupying the Goldfields-Nullarbor Region, Kimberley Peoples occupying the Kimberley region and Ngaanyatjarra occupying the Desert region. 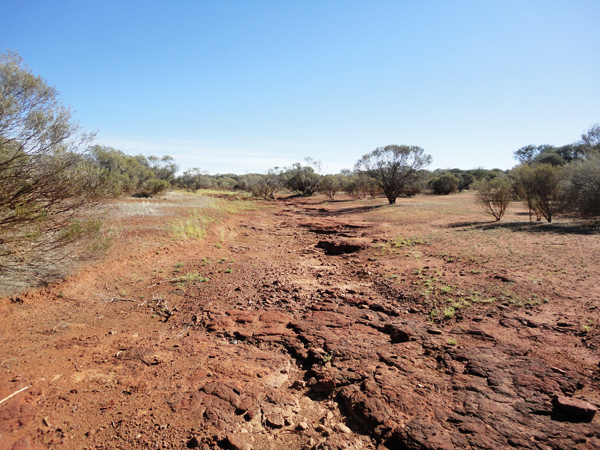 The first recorded European landing in the Western Australian Rangelands was in 1616 when Dutch explorer Dirk Hartog landed on the Western Australian coast. Many other expeditions visited the Western Australian coast; however, there were no lasting attempts at permanent settlement until the 1800s. In the 1800s, exploration and settlement of the Rangelands occurred and pastoral, agricultural and mining industries began to establish. pastoralism, horticulture, agriculture, tourism, fishing and aquaculture. Mining is an important industry within the rangelands and includes gold mining in Goldfields, iron ore mining in the Pilbara and petroleum and diamond mining in the Kimberley. Australia is the world’s second largest producer of gold and approximately two thirds of all production comes from Western Australian mines. In 2009 Western Australia produced approximately $5.65 billion of gold. Iron ore is one of Australia’s largest minerals earner and approximately 95% of all Australian iron ore exports come from the Pilbara. In 2009 Western Australia produced approximately $28.1 billion of iron ore. The Argyle Diamond Mine in the Kimberley region of the Rangelands is the world’s largest supplier of natural coloured diamonds and it accounts for approximately 90% of Australia’s diamond production. In 2009 Western Australia’s diamond industry produced $230 million. The Rangelands supports a variety of horticultural activities and produces a diverse range of crops including: chickpeas, sorghum seed, melons, pumpkins, mangos, bananas, citrus, irrigated pasture, tropical forests and sugar cane.